The Toyota Prius remains the best-selling car model in Japan for the first nine months of 2012. The Toyota Aqua outsold the Honda Fit to become the second most popular car in Japan. The Toyota Prius was again the most popular car in Japan during the first three quarters of 2012. The Toyota Aqua became the second best-selling car model in Japan by pushing the Honda Fit down to third position. The Toyota Vellfire dropped out of the top ten list while the Nissan Note allow Nissan a second car in the top ten best-sellers list in Japan for the first nine months of 2012. The total Japanese vehicle market (January to September 2012) was 4,277,944 vehicles, an increase of 38.7% over the same period in 2011. % Change compares April to September 2012 with October 2011 to March 2012. The Toyota Prius continues to be the most popular car model in Japan. Thus far, the Prius was the best-selling car model every month in 2012 but it is increasingly coming under pressure from the smaller Toyota Aqua. The Aqua is like the Prius a hybrid-only model but smaller and cheaper. The Toyota Aqua was only launched in December 2011. Although Toyota sold 65,000 more Prius than Aqua cars during the first nine months of 2012, the difference between these two models was only 52 cars in September. The Aqua pushed the Honda Fit into third place. Sales of the Honda Fit, which is available in petrol and hybrid versions, have been falling sharply in Japan during the third quarter of 2012. The Fit was introduced in Japan in 2007 and will be due for replacement next year. Sales of the second generation of the Nissan Note started in September 2012, which allowed the Note to be the third most popular car in Japan during that month. It also boosted the Nissan Note from eleventh most popular car in Japan in mid-2012 to eighth most popular year to date. The Toyota Vellfire slipped to eleventh position as a result. Other cars in the top-ten list of most popular new passenger vehicles in Japan remained the same. The Toyota Vitz is clearly suffering at the hand of the very popular Aqua. 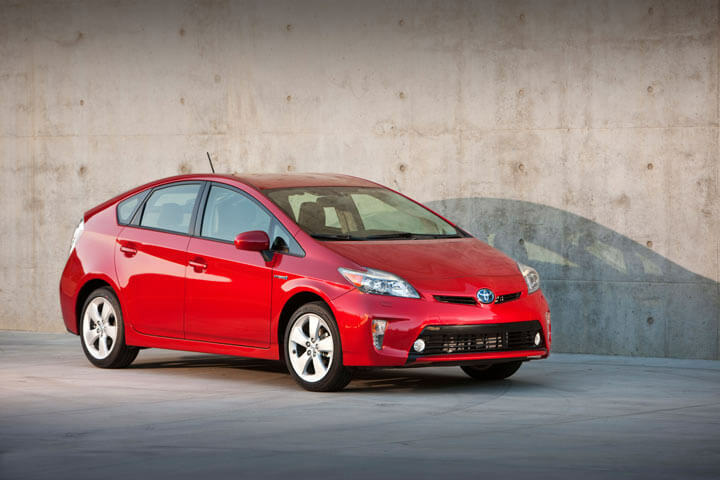 The every green Toyota Corolla remains present in the top 10 list. The aging Mazda Demio saw sales slipping – like the Honda Fit, the Demio has been on the market since 2007. JADA car sales statistics exclude foreign made cars – which are not amongst the top ten best-selling car models in Japan anyway – and also minicars (Kei), which are amongst the most popular vehicles in Japan.